The exterior appearance of the Pro school tables reminds us of a classic school table. 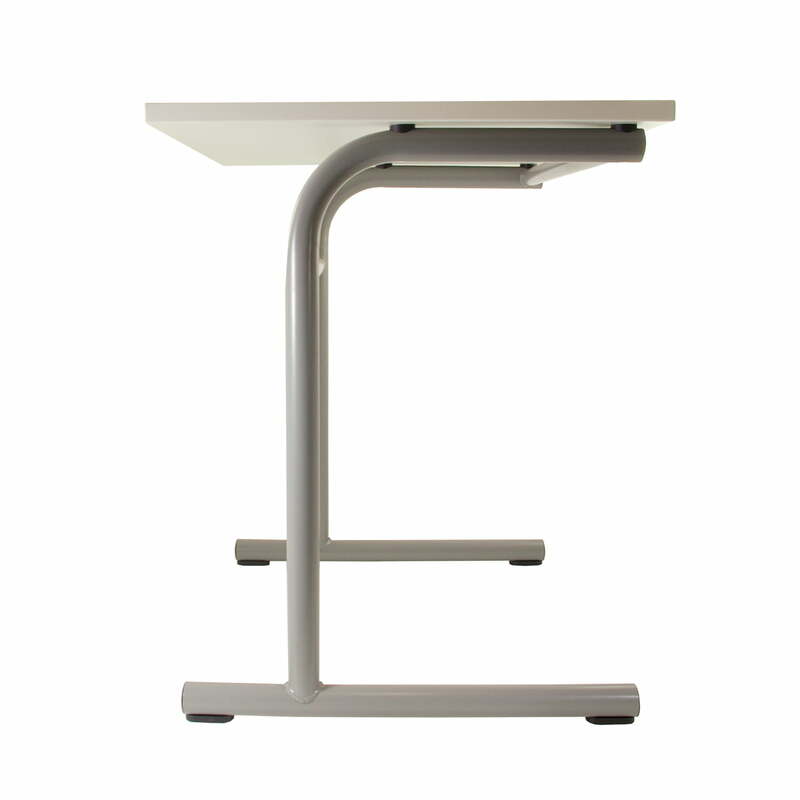 The table optimally suits the chairs with the Pro C frame and it bribes with high quality materials. 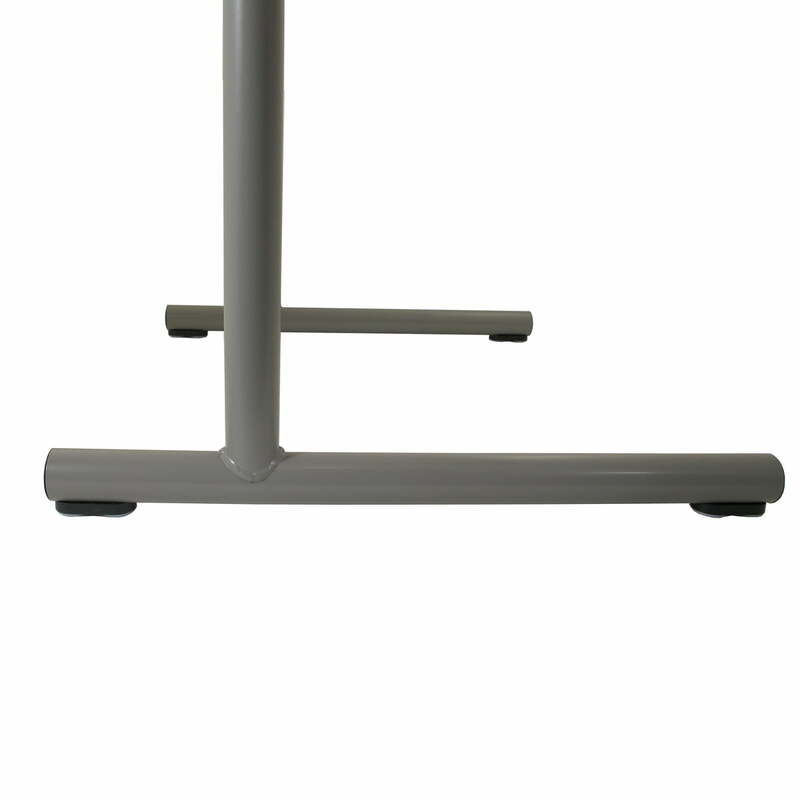 The granite grey coated frame consists of a T-like bent precision spring-round-steel tube (Ø-outside30mm) with welded cross bracing out of round-steel (Ø-outside 28 mm). The table tops are made of 19 mm strong, melamine coated quality boards (type P2 according to DIN EN 312:2003-11). The board coating of melamine with fine pearled, matte texture is available in three decors (snow white, granite grey and light grey). The 3 mm thick ABS safety edge is all over rounded with a 2 mm radius and it suits the board décor regarding the colour. The Pro school tables by Flötotto are available in different sizes and suit the chairs with C frames (Pro 3 to Pro 7) and the swivel chairs (Pro 4 to Pro 6), available as single or double working table each one. 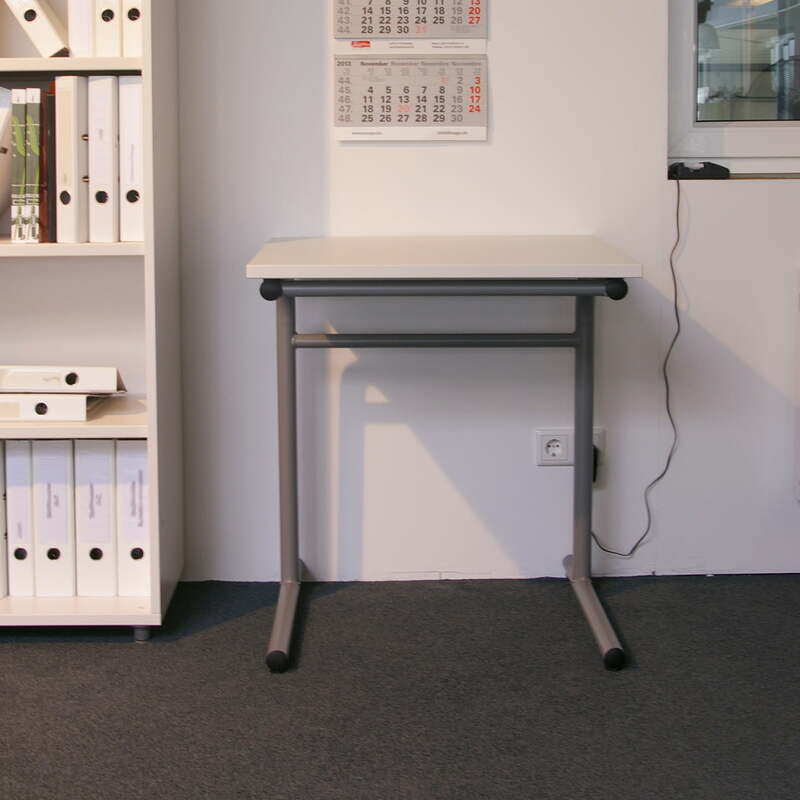 Two different bases enable suitable tables for different demands. 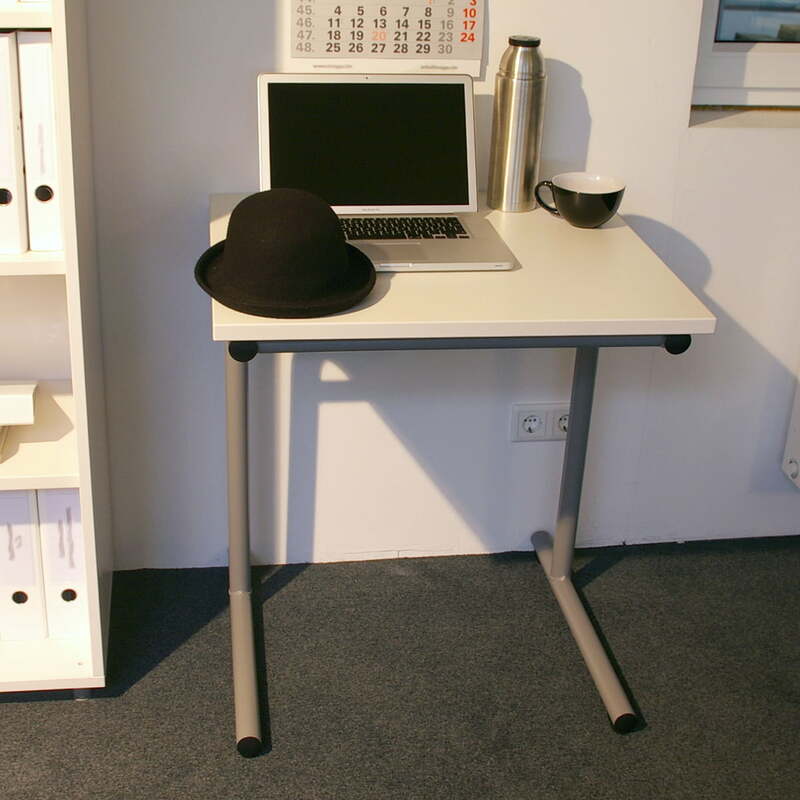 The tables are delivered with universal pads of plastic as a standard. But they are also available with felt pads. 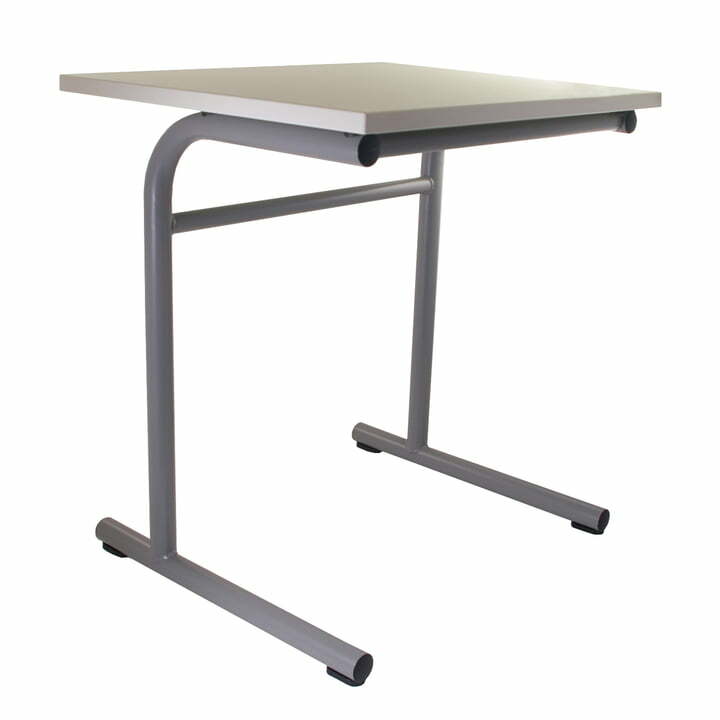 Moreover it is also possible to order the tables with a table screen (in the colour of the table) against extra charge.